Being a human being means – no matter where we come from or what we believe – that we all have a great number of things in common. We all have a body that is vulnerable to inclement weather and serious injury and illness. We all depend on adequate nourishment and proper shelter in order to thrive. All of us have emotions that can be affected by different factors, and we all have the capacity to feel affection and love. And yet, with so many things in common, the truth is that we all are vastly different. We have different likes and dislikes, and we respond to things in different ways. Despite everything we have in common, every person in the world is in some way unique and that uniqueness is expressed in different ways. This same principle applies to medical treatment. Although there are certain things that work for everyone (like aspirin as a pain killer), some things work better for some and not so well for others (some people still feel pain after taking aspirin and others cannot take it at all because they are allergic to it). Acupuncture functions in a similar way. Because every person is different, what works extremely well for one person may not have the same effect on someone else. We usually suggest twice a week for the first three weeks, as most patients show improvement within this time frame. Some patients are discharged before the three weeks are completed, and some (usually more chronic conditions) need more time. 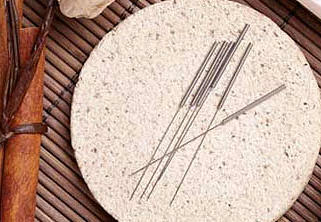 You have nothing to lose by giving acupuncture a chance. Acupuncture is safe, even if you find the desired results were not obtained, it will not make your condition worse, at the very least you will find that after each treatment you will feel relaxed and refreshed.